The IPCC’s 2014 assessment showed the effects of climate change are already hitting us through the water cycle. 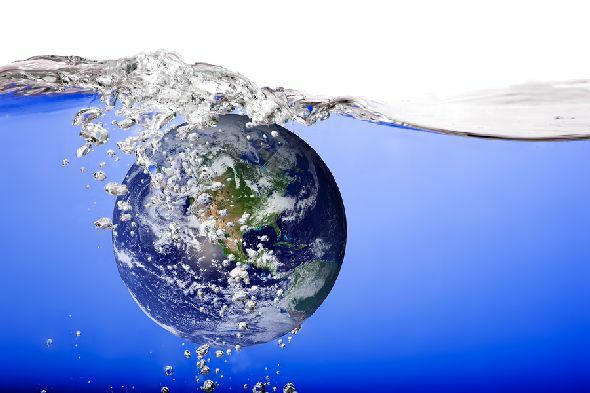 From our point of view at Global Water Intelligence, this means that, if we have any hope of adapting to these changes, it will have to involve a profound turn around in how we manage our water resources. The Global Water Summit 2016 in Abu Dhabi is going to break new ground for the sustainability of water as a source of business and economic growth. We will bring together our distinct community: the people who lead the businesses that supply and use water and the stakeholders whose decisions influence the way those businesses are run. Utility leaders, government ministers, CEOs of corporations and their customers need to come to terms with this basic fact of life: that the state of water in 2050 is going to depend on what we do to make the world of water better – now. Join us for the Global Water Summit 2016 on 19-20 April at the Jumeirah Etihad Towers in Abu Dhabi. We will be asking you to imagine what the world of water will look like in 2050. What will we be leaving behind for the next generation?